Karlhoh said: "But my personal favourite is Science Fiction-bokhandeln, a bookstore dedicated to science fiction and fantasy that rivals Forbidden Planet's big store on Shaftesbury Avenue in London. You'll find Science Fiction-bokhandeln at Västerlånggatan 48 in the old town." This place is without any doubt the SF mecca of Stockholm. This is not one of those small nine square meters and four shelves of sci-fi literature spots, but a rather big store with a selection of anything connected to sci-fi or fantasy on its stock. Besides all the new paperback releases from US and Britain SF bokhandeln offers comics, books on sci-fi related movies, videos, CDs, DVDs and even games. 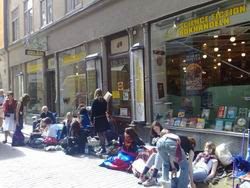 The store is quite expensive, since books in Sweden are not cheap in general, but there is a second-hand section which may prove to be helpful in this way. A visit to this place can be an adventure even for sci-fi-not -infected people who can experience the specific atmosphere of this place. The store has a history dating back to 1977 and has changed its location several times. A must for all the sci-fi fans… The store also has a branch in Gothenburg. I love this book shop, it is by far the best sci-fi fantasy bookshop i have ever been to. 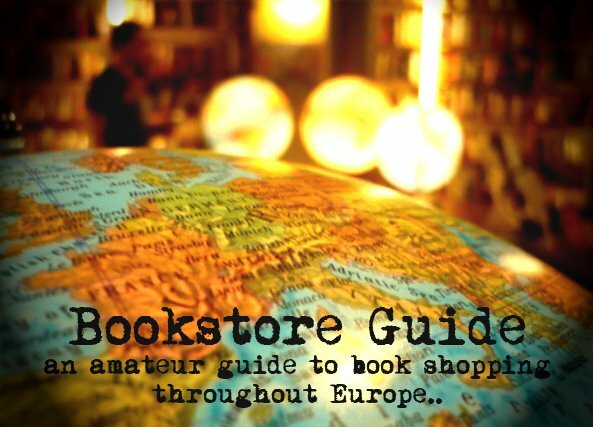 It's huge and offers a large range of English and Swedish books and other stuff like DVD etc. This shop made me want to open my own book shop, I hope when i do it's half as good.